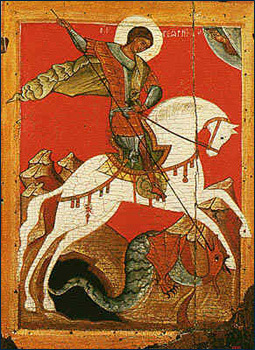 St. George the Great Martyr Orthodox Church, located in Pharr, Texas is a Parish of the Orthodox Church in America (OCA) in the Diocese of the South. Priest Antonio Perdomo is the current Rector and our current bishop is His Grace, the Right Reverend Alexander (Golitzin). His Eminence, DMITRI (Royster), Archbishop of Dallas and the South, is our founding Bishop (Fell asleep in the Lord in 2011). Archbishop DMITRI founded St. George on February 9, 1979, with the event of a Vespers Service which was held at the University of Texas Pan-American’s Catholic Student Center. After the initial Vespers, monthly services began at Our Savior’s Lutheran Church in McAllen and continued there from March until August of 1979. Beginning in September of 1979, services were held twice a month at the Valley Garden Center in McAllen. By June of 1980, the newly formed mission began holding weekly Reader’s Services. Approximately once a month, when a Priest was available from another Orthodox Church, Divine Liturgy would also be served. In 1978, an inquiry article from the OCA Chancellary Office in Dallas was published in the local newspaper called The Monitor. It was Alex Paraskevas who first responded with an initial letter requesting and petitioning that an Orthodox Mission be formed in the Rio Grande Valley. Among the Church’s founding members were Peter and India Peters, Thomas Peters, Norma Hodge, the late Edinburg builder and developer, James Shwery and his wife, Antoinette, the late Alex (Alexander Nicholas) Paraskeves of Edinburg and the late Rio Grande Valley restaurateurs, John and Evangeline Vasos. John Reeves, a former Episcopal Priest, came to live in the Rio Grande Valley during the summer of 1980. In April of 1981, he was ordained by Archbishop DMITRI to the Priesthood in the Orthodox Church in America. 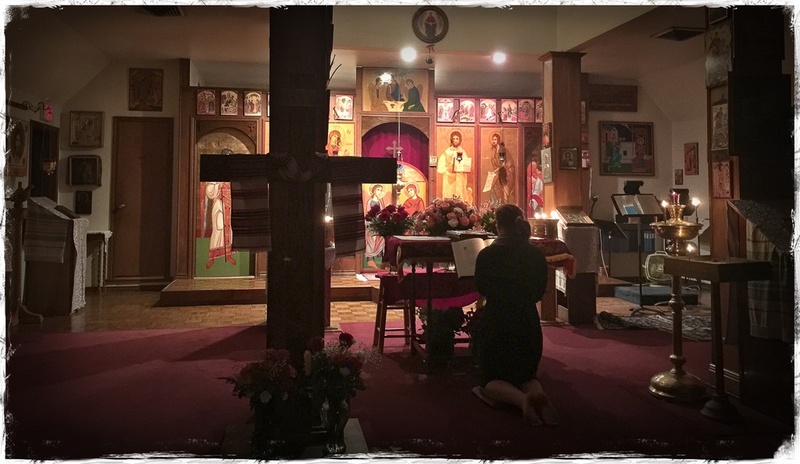 After that time, the Mission began holding regular Divine Liturgies and services. Father Reeves’ most pressing initial task was to help build up the mission. In the early days, Fr. John and his family hosted many services, served meals and led Bible studies and services in their home. In January 1981, the budding Parish purchased its present site, which is located at 704 W. Sam Houston in Pharr, Texas. The mission’s building project began, into which the Parish moved during July of 1981. Edinburg’s Shwery and Hodge families of well known contractors and developers helped considerably in the construction of St. George’s Church. On Palm Sunday, April 13, 1982, the first worship service was held at in the new building on the Church’s current site. In 1996, St. George’s founding Pastor, Fr. John Reeves, departed the Rio Grande Valley for State College, Pennsylvania, where he currently resides. Fr. Aaron Archer then served as Rector from 1996 until the summer of 2001, leaving the area for medical reasons. He now serves in upper state New York. The South Central Diocesan Dean, Fr. Dimitri Cozby, who resides in San Antonio, served as Interim Rector until Fr. Antonio Perdomo and his family arrived in December of 2001. Fr. Perdomo, born in La Vega, Dominican Republic is among the few native Spanish speaking Orthodox Clergy in the United States. His family lived outside of Atlanta, Georgia for many years, part of St. Mary of Egypt (OCA) Church. Later, the family lived in New Mexico and Father served the small St. Dimitri of Rostov Mission in Los Alamos before being asked to come and serve on the South Texas/Mexican border region. In spring of 2003, the Parish paid off its initial mortgage. Since then, it has added on a much-needed larger Church Hall which will has better facilities for ministry, Christian education, service projects and social activities. St George continues to expierence growth. As of now, we are once again exploring options on expanding our current worship facilities. Intercede with Christ our God That He may save our souls!